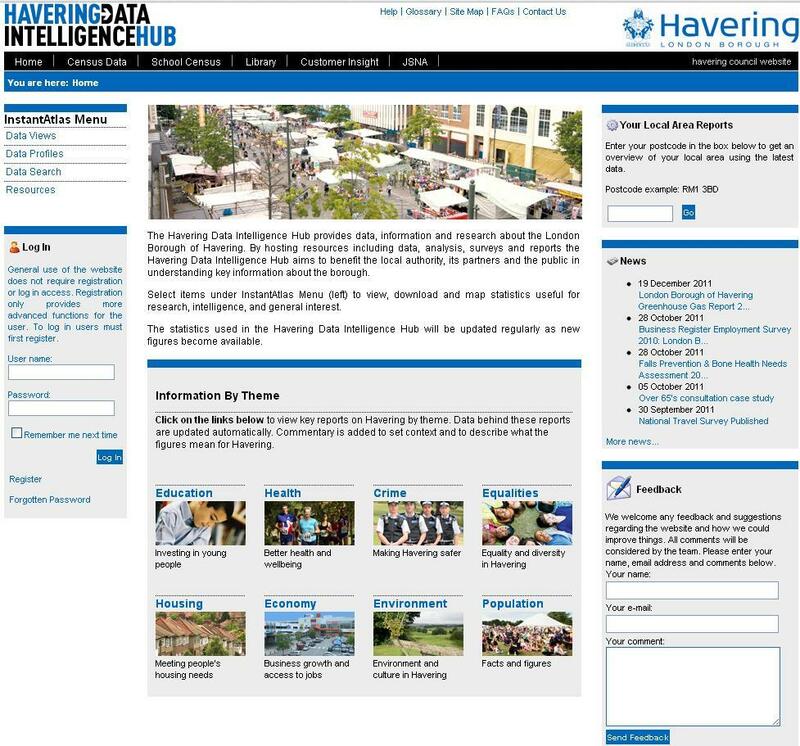 The Havering Data Intelligence Hub and Newham Info both set out to meet the local demand for up-to-date and easy-to-interpret data, against the backdrop of extremely tight resources. Here we talk to Yousaf Hassan, Information and Demographics Officer at Newham and Rebecca Booker, the Area Intelligence Business Analyst for Havering, about how they are using the OCSI Data Packs to meet the particular challenges faced by London Boroughs in providing data. Echoing that, Rebecca explained, “when we started out developing the Hub I was at a point where I was dealing with all our data queries in an ad hoc way.” With a desperate need to reduce the time spent on responding to queries, her team looked to the model of Newham Info and saw the development of a Local Information System as the way forward. Resources would not stretch to building it in-house, so Rebecca carried out a review of off the shelf options. She found the most efficient and effective way to get up and running was to purchase Instant Atlas software and OCSI Data Packs. Yousaf and Rebecca have set out to ensure their systems provide the right data to support all members of their wide audience. 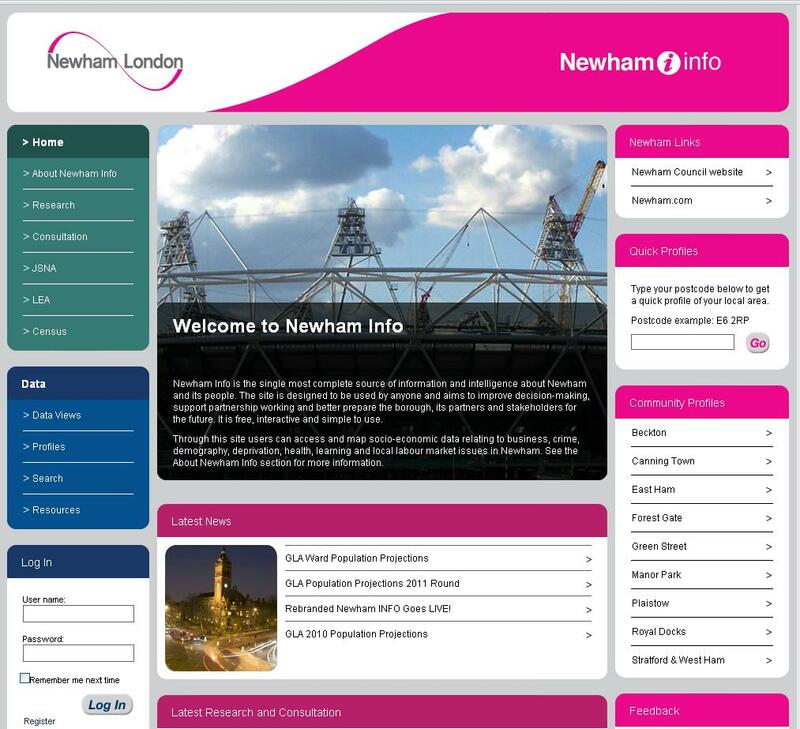 Yousaf has identified that Newham Info’s biggest users are the council’s internal staff with the Policy and Research teams being the most regular visitors to the site. Since launching the system he has seen a large drop in the data queries he receives, freeing him up to concentrate on adding value to the information, providing relevant reports and data summaries that meet the needs of users. Rebecca has been providing demonstrations of the Intelligence Hub to Voluntary & Community Service groups, health teams, the Cultural Forum and Council Members; “the feedback has been great, and it has also given me a chance to find out more about the reports and summaries they would like to see.” Rebecca highlighted some of the ways the data has been used, for example, the Equality and Diversity Team have set up links to the data on their website to help users complete the Equality Analysis Template. They have also used the information to complete their Draft Community Empowerment Strategy and have firm plans to use for the development of their Draft Single Equality Scheme. Also, as the Data Packs include data on fuel poverty at ward level and equalities data on vulnerable groups, the Havering Intelligence Hub was well-placed to support the development of the Fuel Poverty Strategy. To help the capital’s councils meet the specific data challenges they face, the OCSI Data Packs also include London-specific information including Greater London Authority (GLA) population estimates and Metropolitan Police crime datasets. The Crime data Pack includes Metropolitan Police data at Census Ward level, and provides a more detailed breakdown of forty two crime types (including drug offences, fraud, offensive weapon offences not covered in the Home Office crime statistics). Anti-Social Behaviour data is also provided at ward level, with monthly breakdowns by type of complaint.